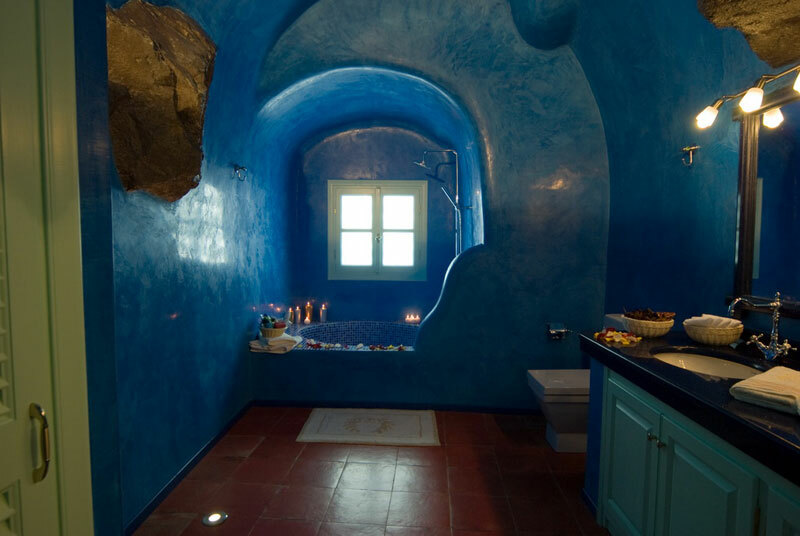 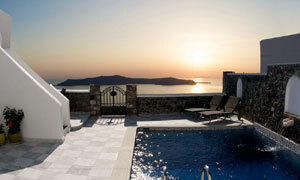 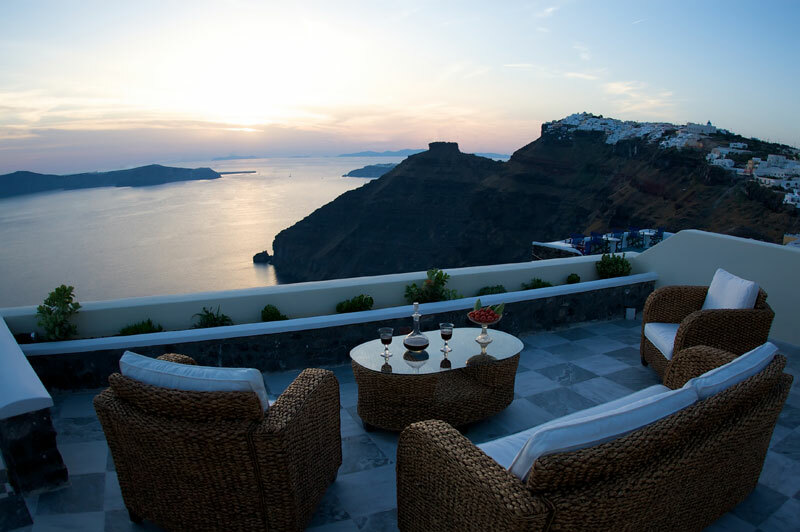 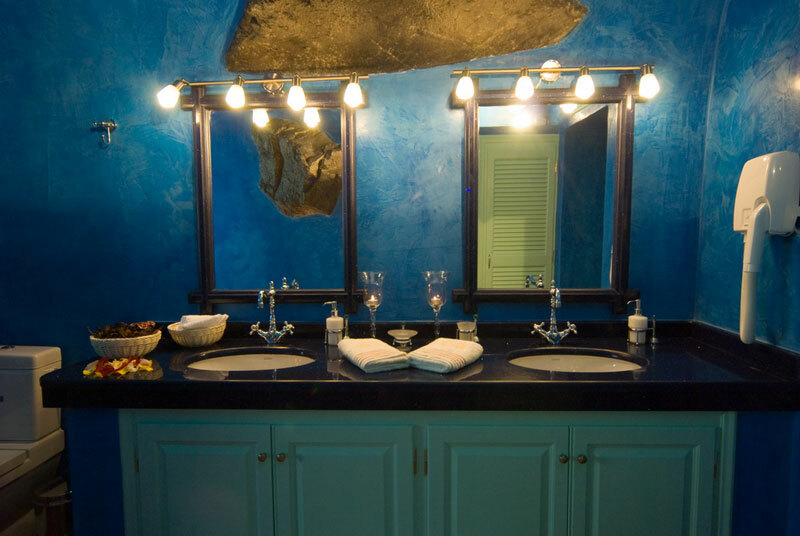 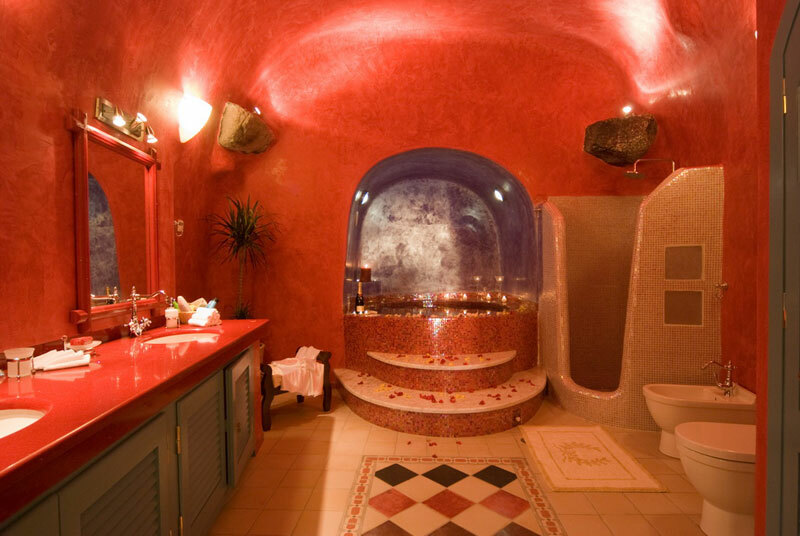 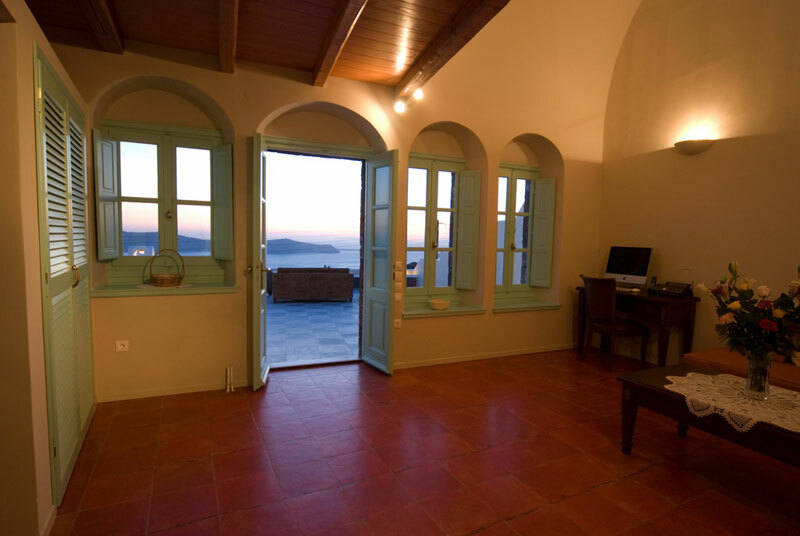 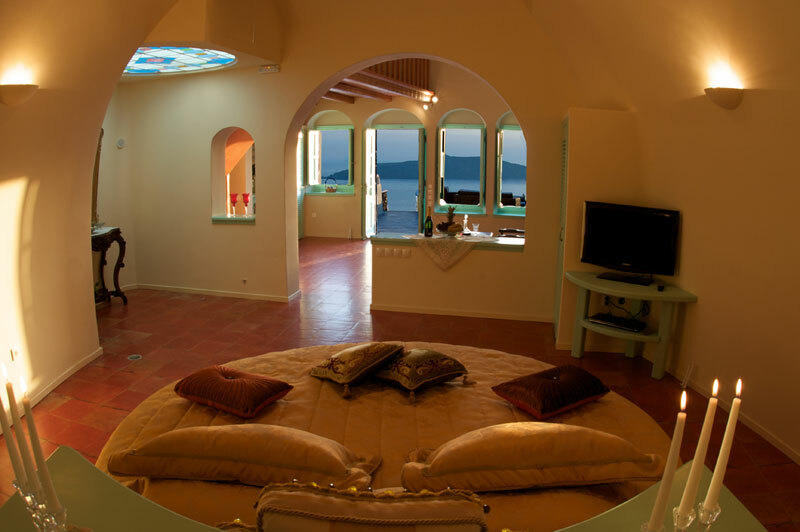 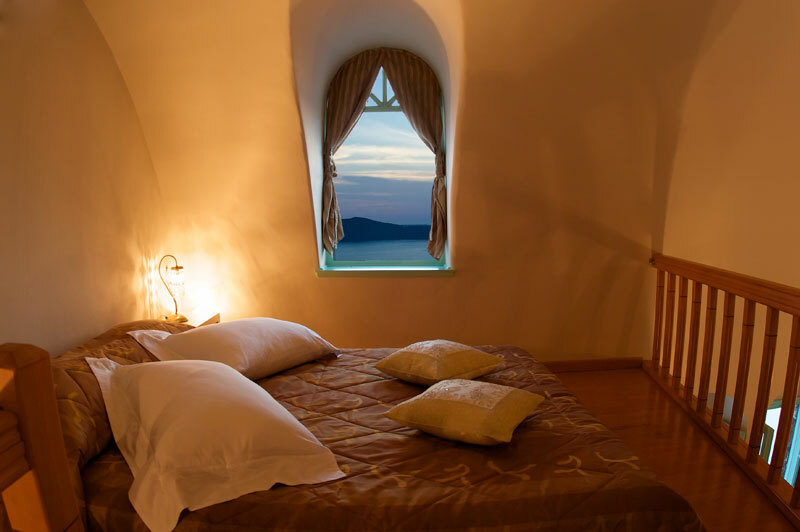 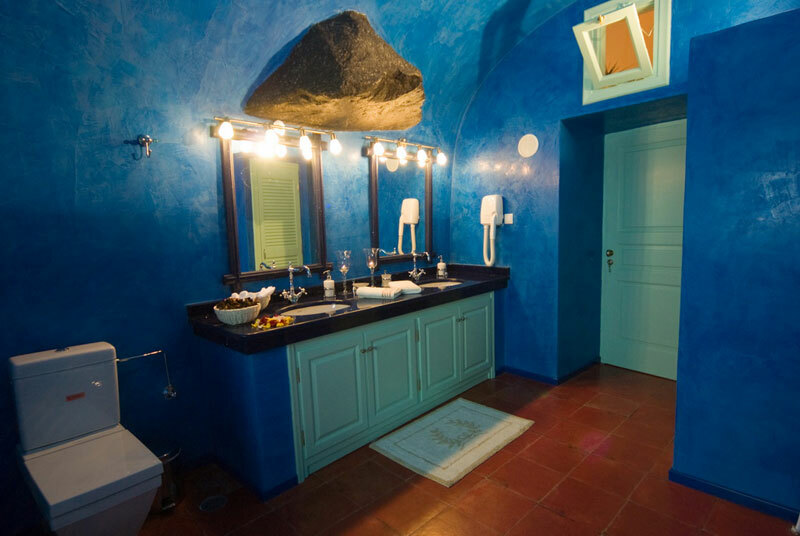 Luxury villas Vallas are built on the high volcanic cliffs of Firostefani, resembling a small Cycladic village. 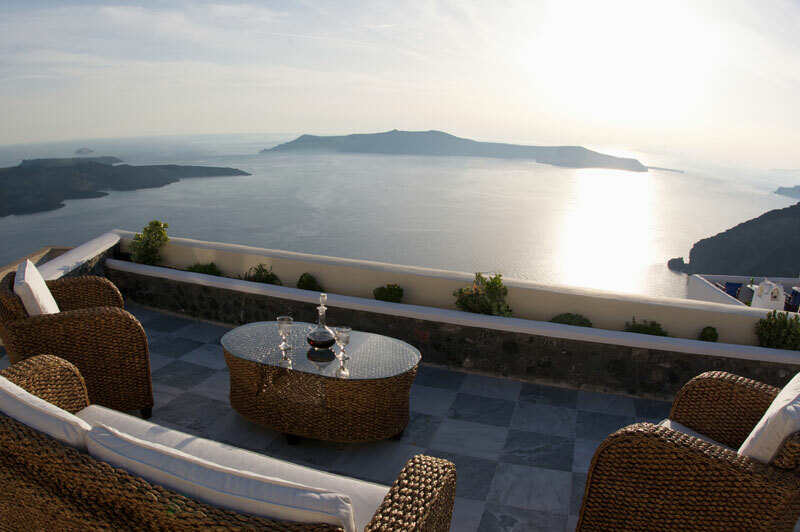 With a view of the mysterious Caldera, the volcano and the endless blue of the Aegean, you will acquire unique experiences. 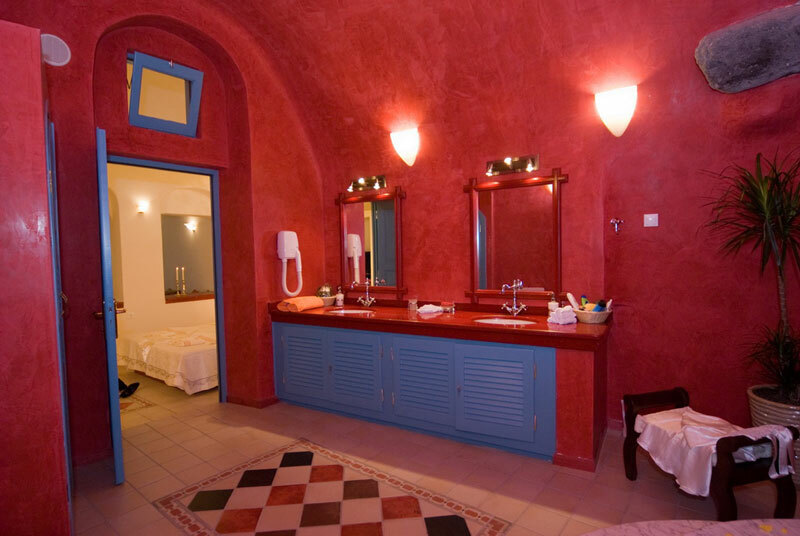 The luxurious villas can easily accommodate 2 to 4 persons. 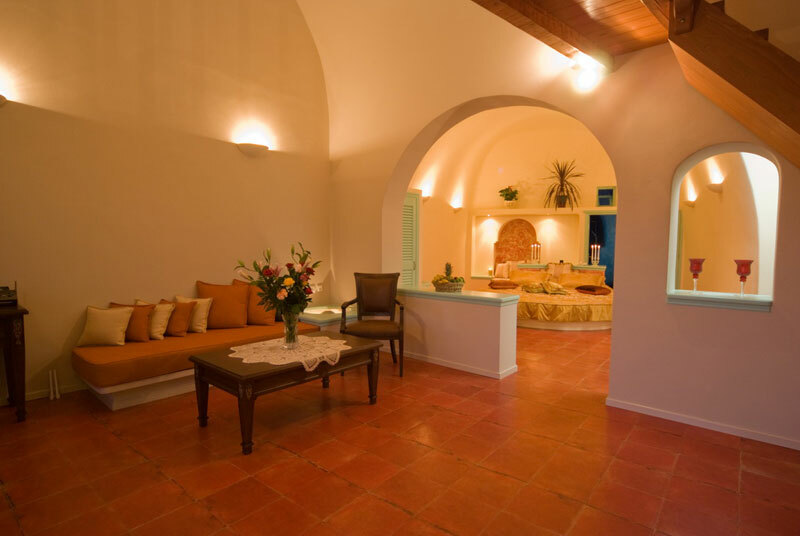 All areas are spacious with large openings, in order to make your staying here unforgettable. 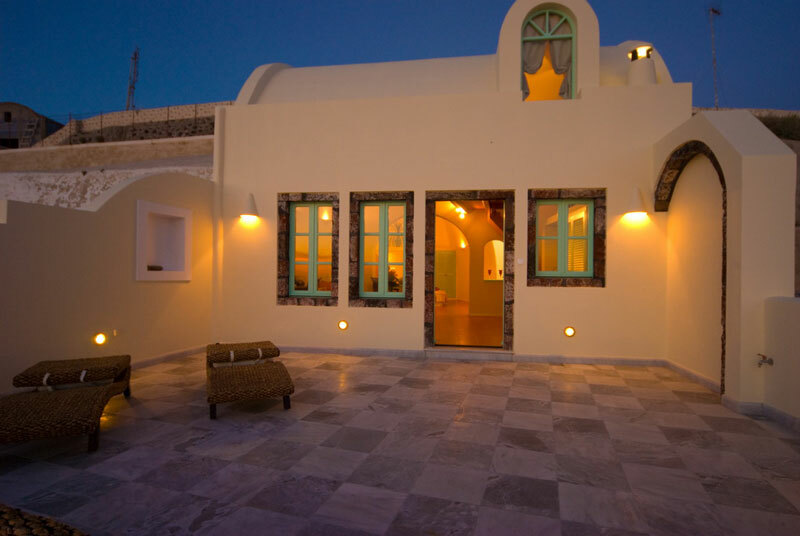 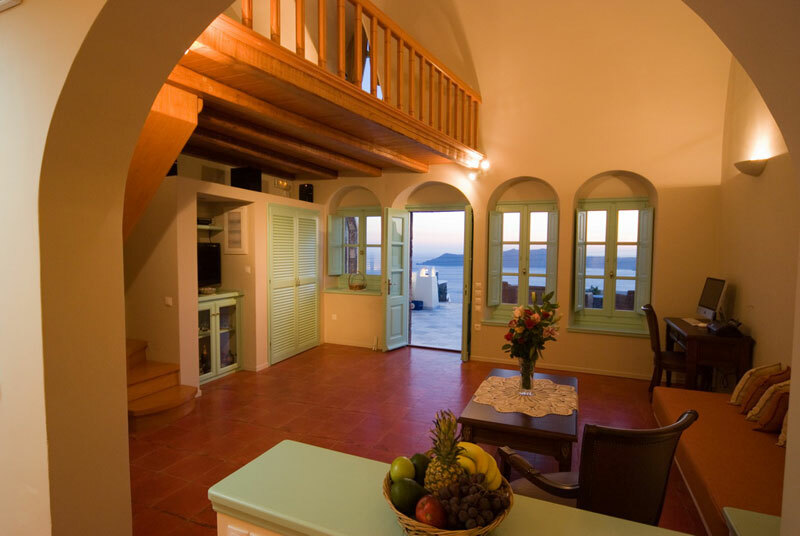 The apartments follow modern design decoration, while at the same time they preserve the traditional architecture of Cyclades. 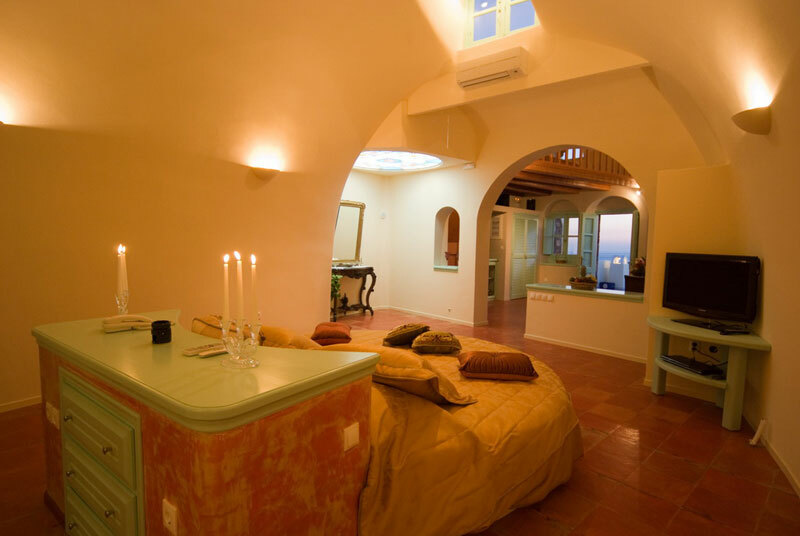 The earth tones and the pal colors on the walls and the furnishing create a quite relaxing atmosphere.